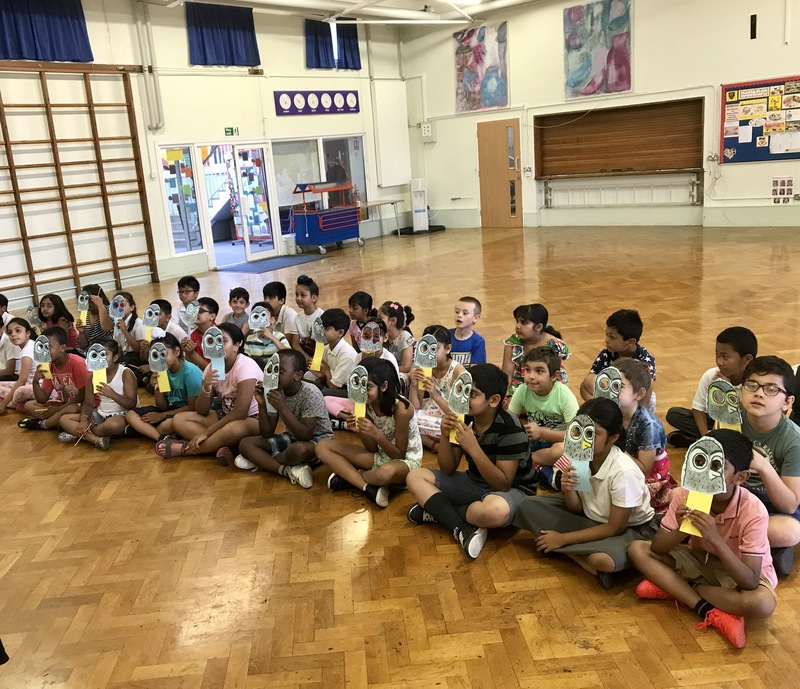 Team Dave Pigeon visited Springwell Junior School in Heston, where we met with one hundred and twenty Year Three pupils. 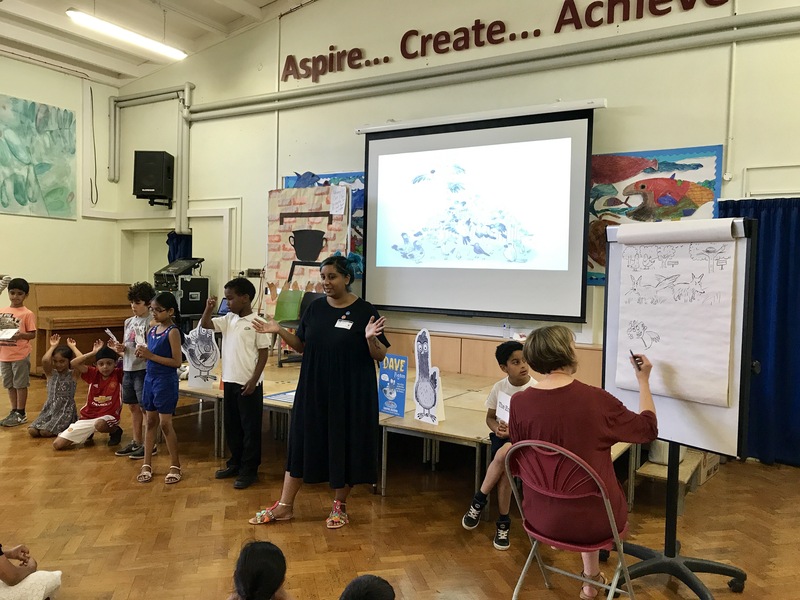 We received a lovely, warm welcome and not just because it was the hottest day of the year, but because the children had been reading Dave Pigeon in their classrooms and were raring to go with creating their own Dave Pigeon stories. 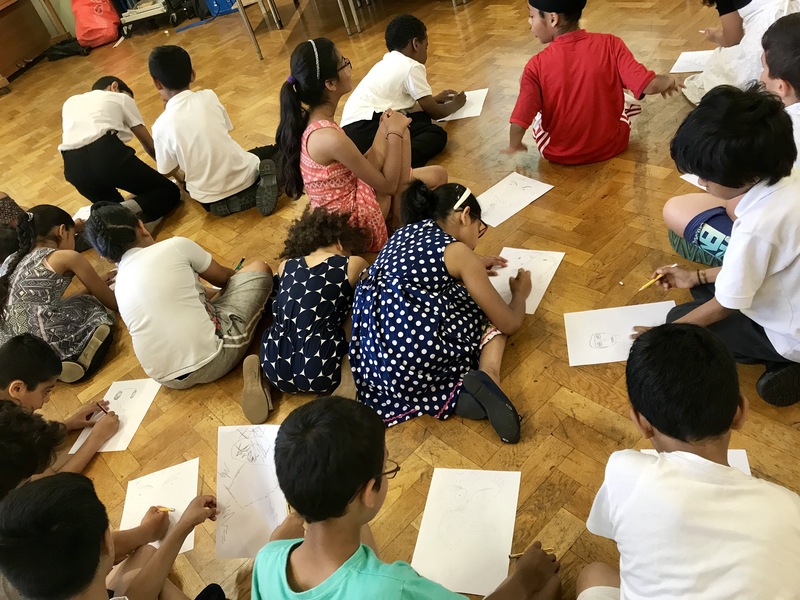 We saw lots of brilliant work including monstrous pigeons, evil shelf stackers and a dangerous egg as Sheena led a villain illustration workshop. The children then used their baddies to create new adventures for Dave and Skipper. 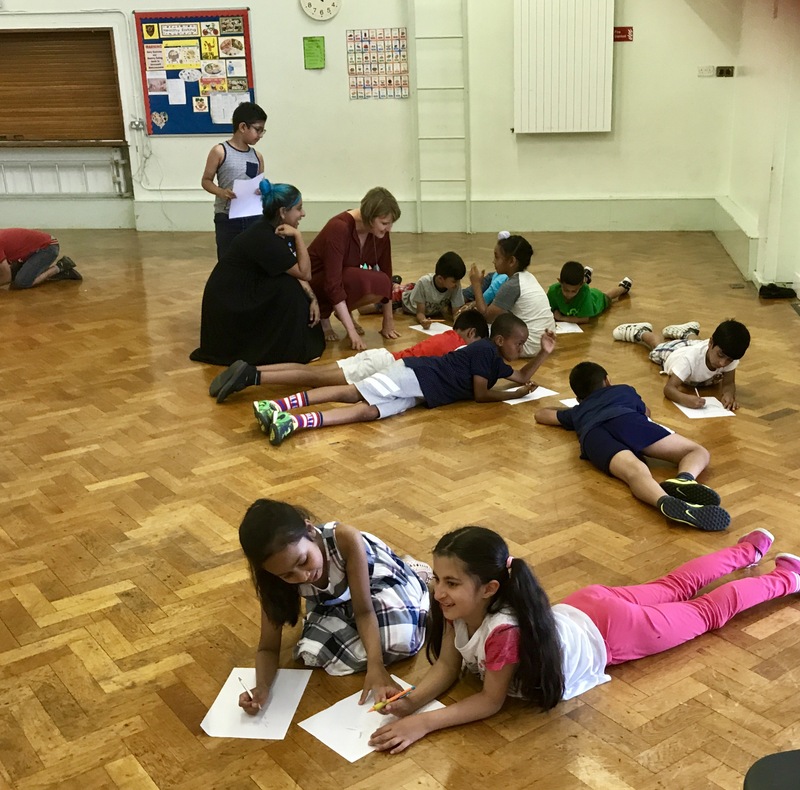 We heard about an evil bird-napping nurse, two mischievous foxes and a toilet blocked with a ginormous poo. 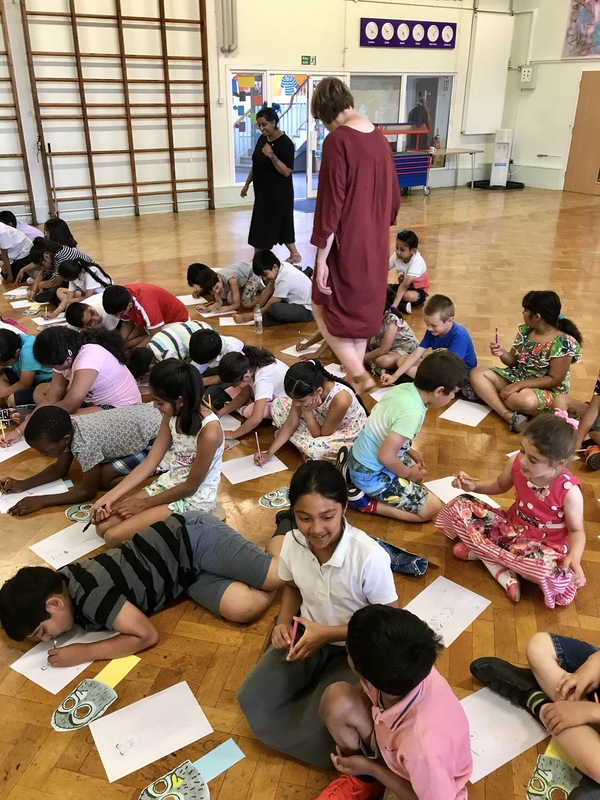 Sheena and I were so impressed with the creativity of these budding young writers and illustrators. 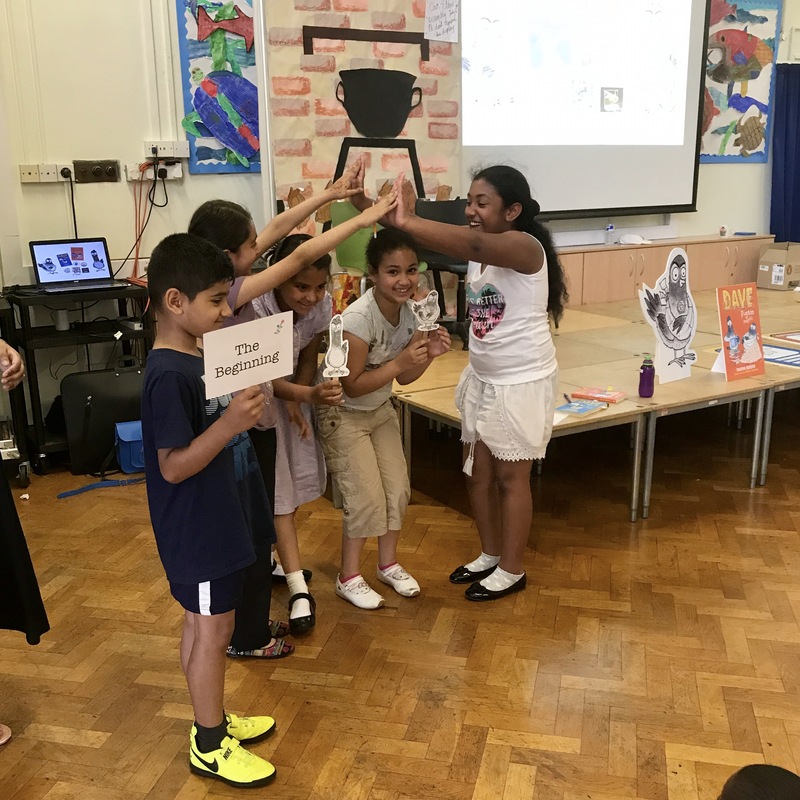 Thank you so much to the Alligator’s Mouth Bookshop, the pupils and staff of Springwell Junior School, especially Claire, who made our visit so special and the brilliant dinner ladies who made us the most scrumptious school dinner.